Much like us, baby kittens are born without teeth. Their first baby teeth appear when they are around 2-4 weeks of age. These deciduous milk teeth will fall out when they are 3.5-4 months old, and the kitten’s permanent adult teeth then grow in. This means that kittens teeth twice in their lives – once for their set of 26 baby teeth and again with their 30 adult teeth. Teething does not typically cause a kitten any pain, but they may feel a bit sore as their sharp new teeth emerge from their gums. Compared to puppies, kittens will not engage in as much haphazard chewing throughout their teething process. You should still provide them with appropriate chew toys so they are not tempted to gnaw on other objects. When is it necessary to see the vet? If baby teeth have not fallen out when adult teeth are emerging, this can cause problems including cracked teeth and misalignments. Look out for overcrowding in their mouths, like the appearance of two rows of teeth. 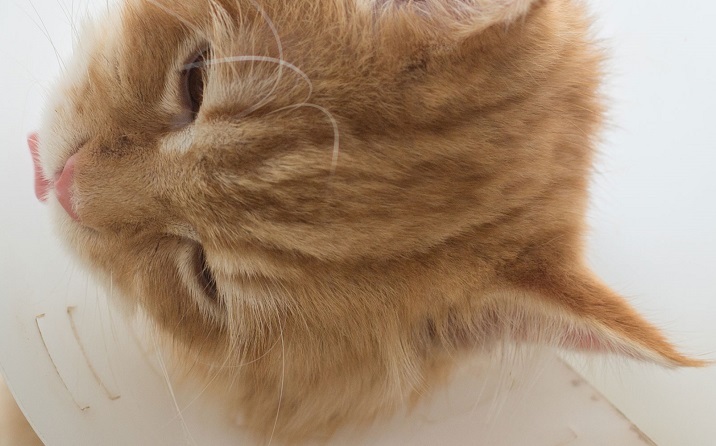 Symptoms of infection in your kitten’s mouth may include red, inflamed gums with discharge, which will require veterinary treatment. Overall, trust your instincts. 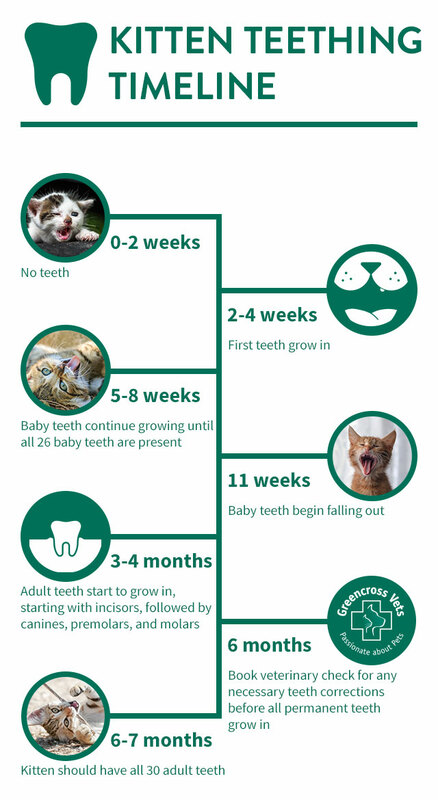 Though your kitten may exhibit some abnormal behaviours while they are teething, as a pet parent you should make the call to book in an appointment at your local Greencross Vets if you have any concerns. 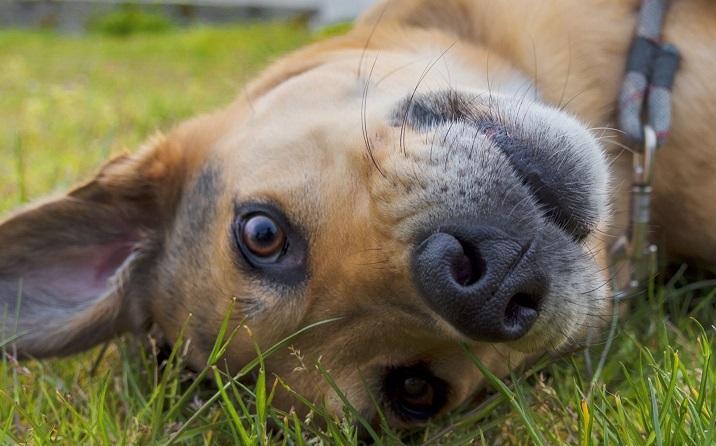 Implementing a regular dental routine will prevent your pet from developing harmful dental diseases later in their life. 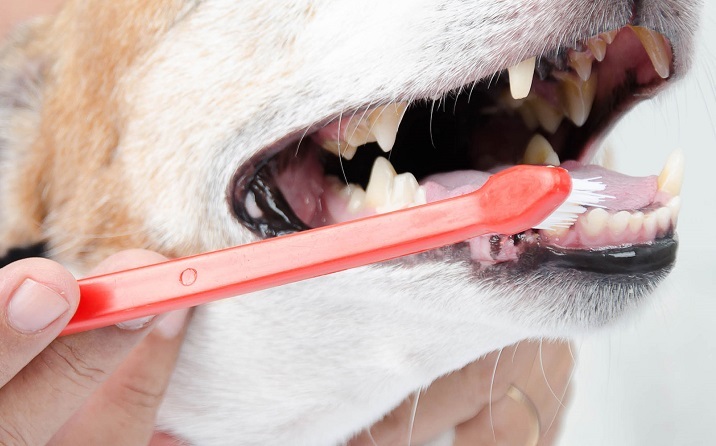 Find out how to brush your pet’s teeth and provide other dental care alternatives. Desexing (neutering or spaying) your kitten provides them with many health benefits and prevents behavioural problems. Our facilities are sterile and use the latest in surgical equipment. Speak with your Greencross Vet about desexing your kitten today.